As low as $.53 each. CLOSEOUT!!! 40% OFF OUR REGULAR PRICING!!! 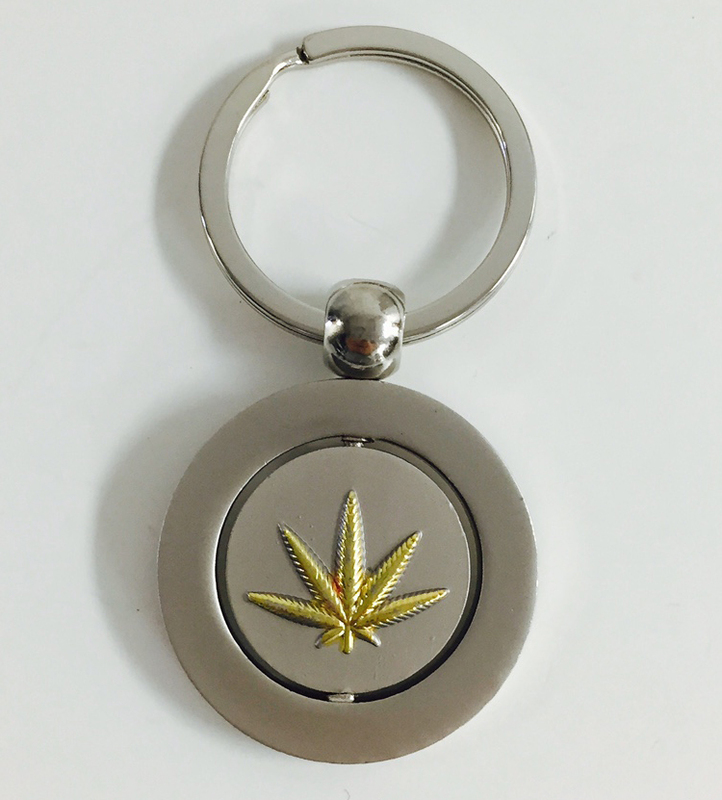 Our marijuana leaf spinner key tag measures 1 5/16" diameter and and is attached to a 1 3/16" flat split ring. 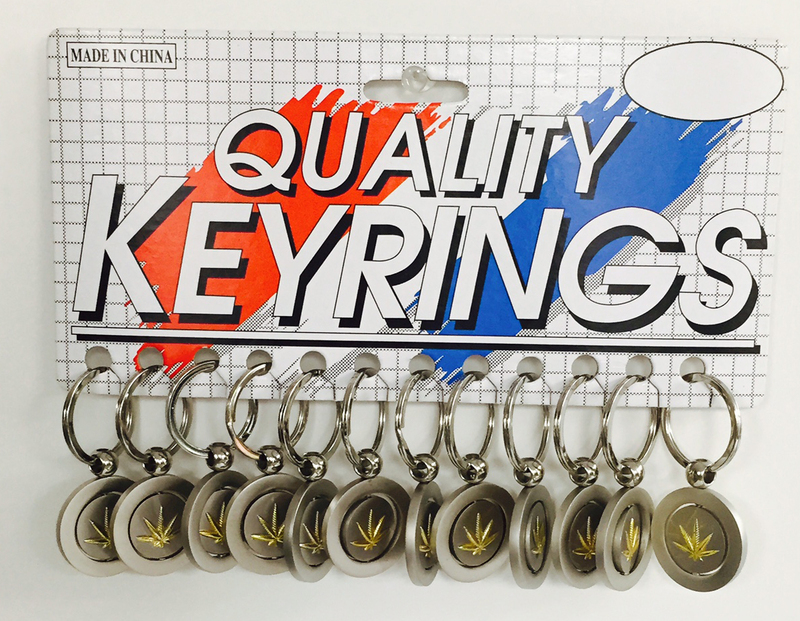 All pieces are 2-tones with the leaf plated in gold and the rest of the key tag is plated is brushed silver. Packaging is bulk.